WELCOME HOME TO EMBELLISH DOWNTOWN PLYMOUTH "THE MEADOWS" COMPLEX. IMMACULATELY KEPT, ONE OF KIND 2 BEDROOM, 2 FULL BATHS, 2ND FLOOR RANCH CONDO. ENJOY WALKING INTO THE GRAND ENTRANCE HALL (FOYER) WITH HARDWOOD FLOORS. SURPRISINGLY SPACIOUS LIVING ROOM WITH GAS LOG FIREPLACE AND ACCESS TO BALCONY WITH A GREAT VIEW, LARGE FORMAL DINING ROOM. EAT-IN KITCHEN WITH BEAUTIFUL OAK CABINETS, GRANITE COUNTER TOPS (2016) AND HARD WOOD FLOORS. EXCELLENT MASTER BEDROOM WITH MASTER BATH AND WALK IN CLOSET. LARGE 2ND BEDROOM WITH ACCESS TO FULL BATH. IN LAUNDRY SUITE HOST OAK CABINETS WITH WASHER AND DRYER INSTALLED IN 2016. CONDO WAS FRESHLY PAINTED IN 2016. UNDERGROUND HEATED GARAGE. WALKING DISTANCE TO DOWNTOWN PLYMOUTH'S KELLOGG PARK, CONCERTS, ICE FESTIVAL, COFFEE, SHOPS AND RESTAURANTS. 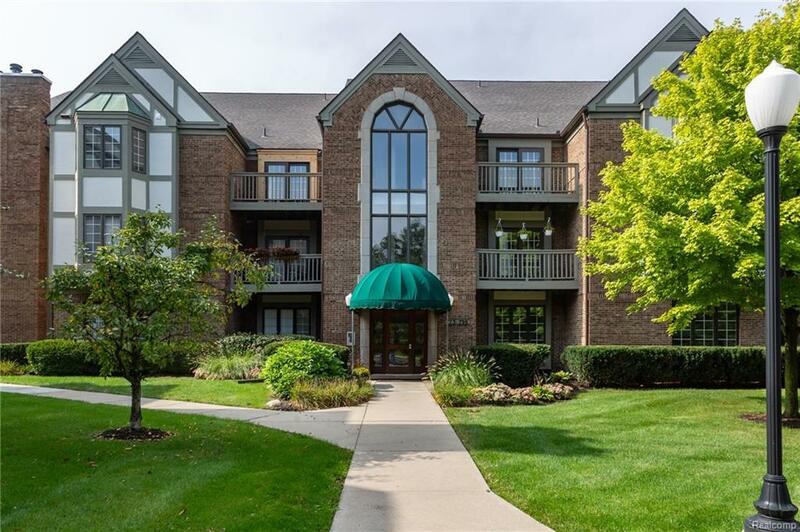 DON'T MISS OUT, YOU WILL ABSOLUTELY LOVE LOVE LOVE THIS CONDO. SCHEDULE YOUR SHOWING TODAY! FURNITURE IS AVAILABLE FOR SALE AND IS NOT INCLUDED WITH THE SALE OF THE CONDO. NO PETS OR SMOKING ALLOWED.